A circle of radiant 9ct white gold claw set with 0.33cts of beautiful diamonds to create an irresistible wedding or eternity ring. A captivating symbol of your eternal love. 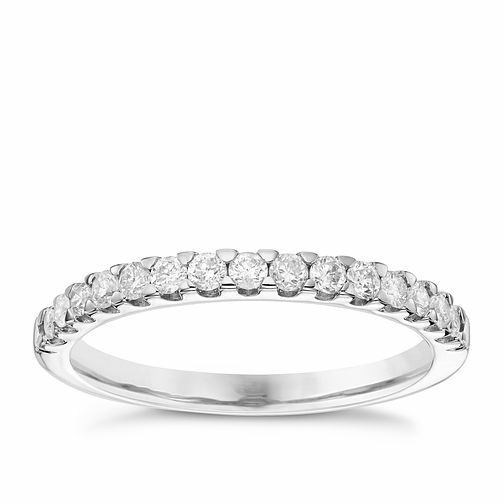 9ct White Gold 0.33ct Diamond Wedding Band is rated 5.0 out of 5 by 2. Rated 5 out of 5 by Anonymous from Stunning wedding band!! This ring is beautiful and matches so well with my engagement ring. It sparkles beautifully- I just can't stop staring at it. In love!